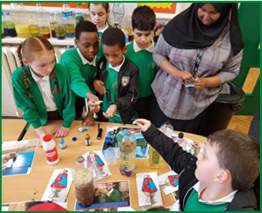 Hoxton Garden Primary School | Science Day! Science day proved to be another successful time! 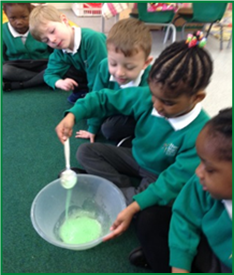 Under the theme of ‘flubber’ the children enjoyed making gunk, slime and mess from materials that can be found around the home, including eggs and washing up liquid. 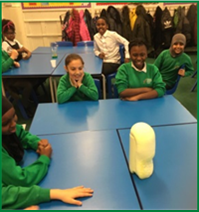 Year 6 experimented with chemical reactions, mixing hydrogen peroxide with various other substances with the intention of creating the most volatile reaction. attending and sharing the learning.